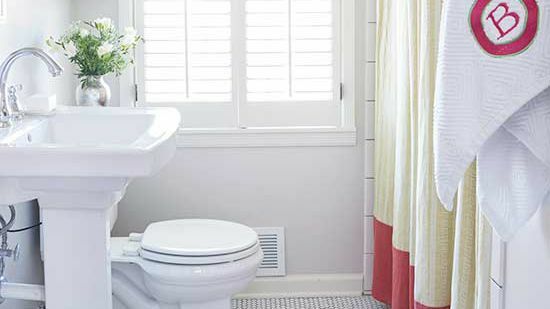 Learn the steps and techniques for installing ceramic tile. We'll walk you through setting and leveling tiles, mixing thinset, and more. 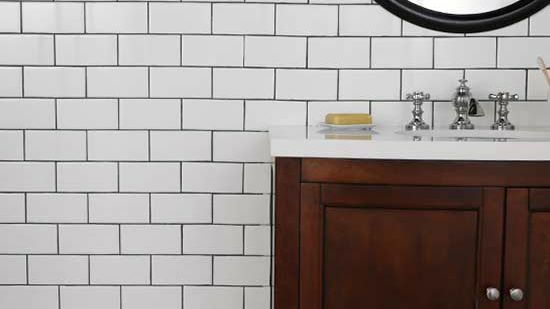 Whether you're tiling a bathroom or a kitchen floor, ceramic tile is up for the job. 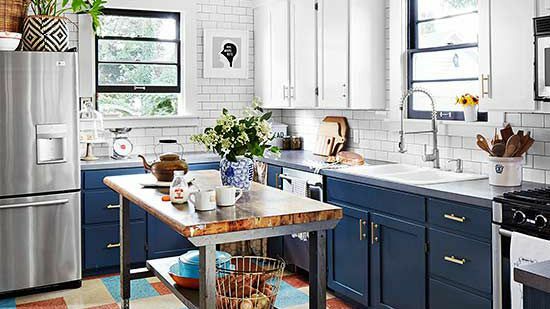 Ceramic is one of the most durable materials, making it the perfect tile for many projects. 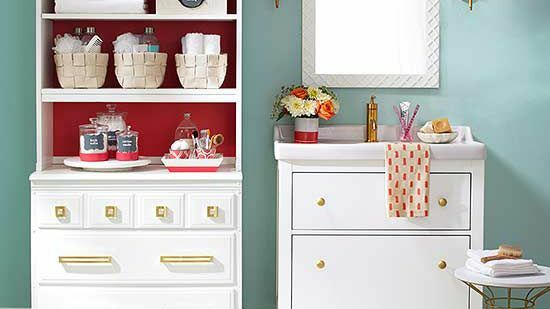 Plus, ceramic tile comes in an array of colors, glazes, and sizes, so you're sure to find a look you love. 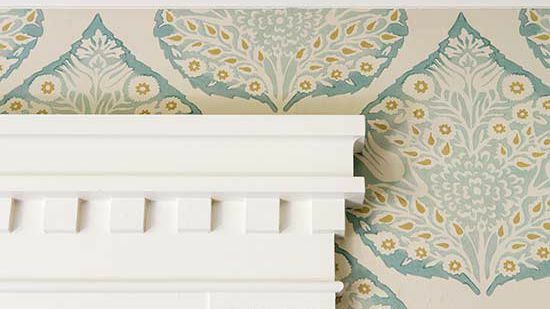 This tutorial explains how to install ceramic tile in your home. We'll walk you through every step of the process, plus offer tips and tricks to ensure your project is a success. 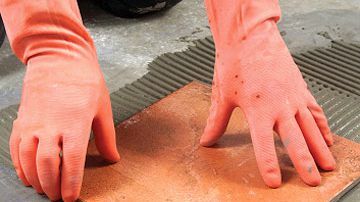 Before you begin laying ceramic tile, you'll need to prepare the surface. Slab floors and drywall or plaster in dry areas may not require the installation of backerboard. 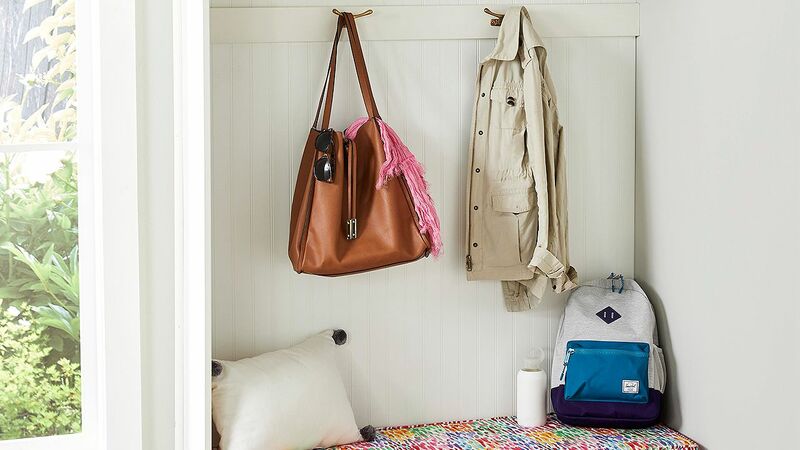 Otherwise, install backerboard on wood surfaces and walls in areas that will get wet, such as bathrooms or entryways. Before you trowel on the mortar, sweep the floor clean. 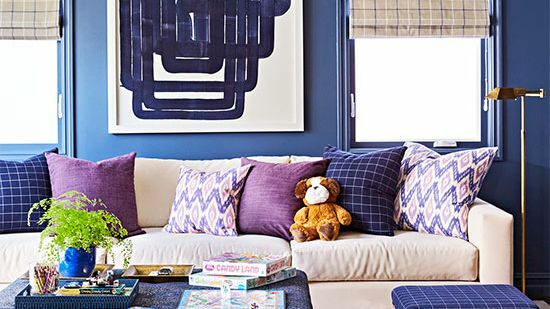 Figure out how many tiles you need in each layout grid and stack them around the room close to each section. 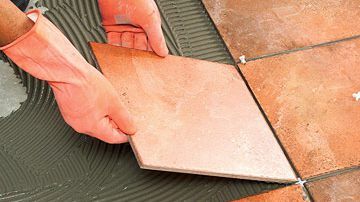 That way you won't have to go back and forth to supply yourself with fresh tiles when you start laying each grid. Sort through all the tile boxes to make sure the dye lots match and separate out any chipped tiles. Use these for cut pieces. If you are installing saltillo or handmade tile, its color may be consistent within each carton but may vary from box to box. Sort through the tiles; at each layout grid, mix some from each box. 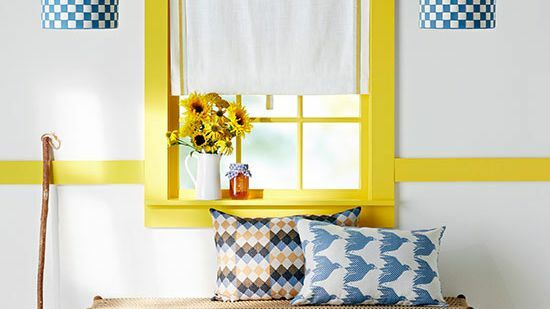 Doing so spreads the colors evenly in the room and keeps them from occurring in patches. 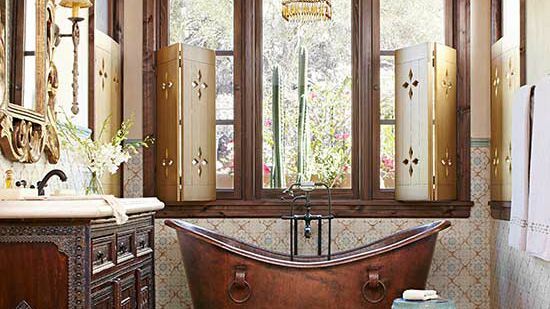 You'll need about an hour to trowel and set 4 to 6 square feet of tile. The exact time varies with tile size. Also make sure you have the skills needed for this project, including mixing with a drill and troweling. 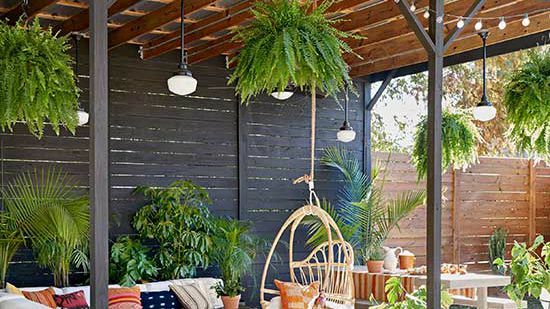 Whether you have chosen thinset mortar or organic mastic, bring it into the room to acclimate it to normal room temperatures—ideally between 65 and 75 degrees Fahrenheit. 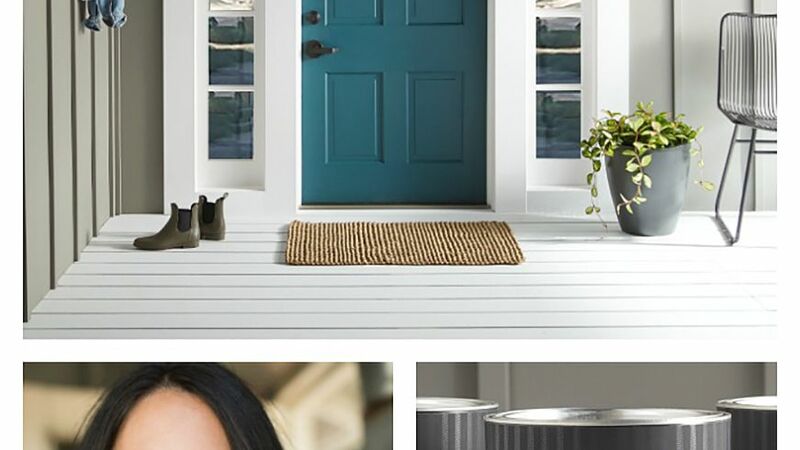 Mix thinset with water that is clean enough to drink, and clean out the bucket after each mix; mortar and adhesive residue can cause a new batch to cure prematurely. 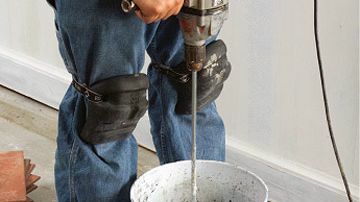 Mix the thinset with a 1/2-inch drill and a paddle designed for mortar. Keep the speed below 300 rpm and the paddle in the mix to avoid adding air. Adding the powder to the water a little at a time reduces airborne mortar dust and makes mixing easier. Let the mixture set for 10 minutes so the water will penetrate any lumps. Then mix again to remove lumps. To test the consistency, load a trowel with mortar and hold it upside down. If the mortar falls off the trowel easily, add more dry powder and remix. The ideal consistency is about as thick as peanut butter. Clean the bed before troweling. Pour enough mortar to cover a layout grid. Holding the straight edge of the trowel at about a 30-degree angle, spread the mortar evenly, about as thick as the depth of a trowel notch. 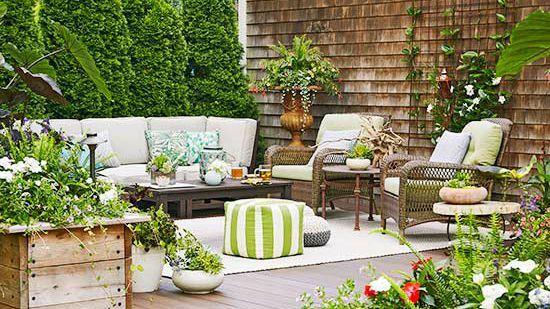 Spread the mortar to the layout line; comb it with the notched edge at about a 45- to 75-degree angle. Set the first full tile at the intersection of your layout lines, positioning it with a slight twist as you embed it in the mortar. 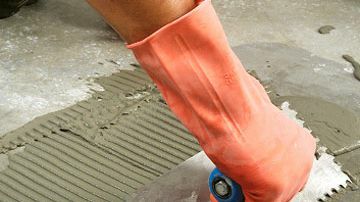 Do not slide the tile in place—sliding can reduce the thickness of the thinset and build up mortar between the joints. Keep the edges of the tile on the layout lines. Editor's Tip: Properly applied thinset forms ridges that compress to cover the entire back of the tile when it is embedded. If thinset is applied too wet, it will not hold these ridges. 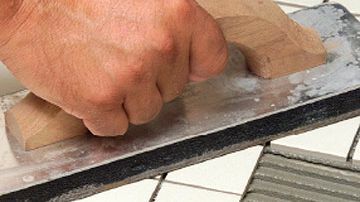 A dry thinset application will not compress and will result in the tile adhering to the top of the ridges only. Test a thinset mixture occasionally by pulling up a tile and examining the back. If the thinset completely covers the surface, the mixture is correct. Using the layout order you have chosen, lay the next tile in place with the same twisting motion, keeping the tile aligned on your layout line. Insert spacers between the tiles and adjust the tiles to fit. Editor's Tip: When laying loose tiles (not sheet-mounted), use plastic spacers to keep the tiles the proper width apart. Insert spacers vertically in the joint after you set each successive tile. That way the tile will be in the correct placement after it is embedded in the mortar. Once you reach a point where tiles form corners, flip the spacer down into the corner. Pull the spacers before grouting, even if the manufacturer's instructions indicate that you can leave them in place. Spacers may show through the grout. Continue laying tiles along both legs of the layout lines (for a jack-on-jack design, as shown) or in the order of your design, spacing the tiles as you go. 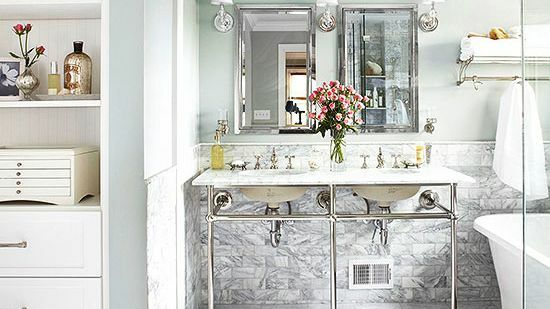 Periodically check to make sure the tile conforms to the layout lines in both directions. 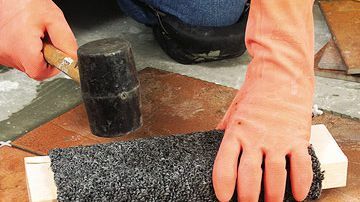 Lay a long metal straightedge or 4-foot level on the edge of the tile. This edge should align itself with the layout lines. Each joint within the pattern should also be straight. Scrape off any excess thinset that may have spread over a layout line. Adjust the tiles to straighten the joints, if necessary. 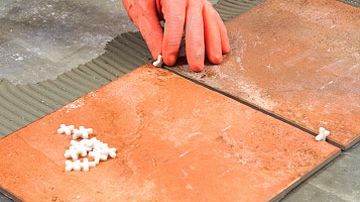 Continue laying the tiles according to your chosen pattern, spacing and checking them as you go. Don't kneel or walk on set tiles. 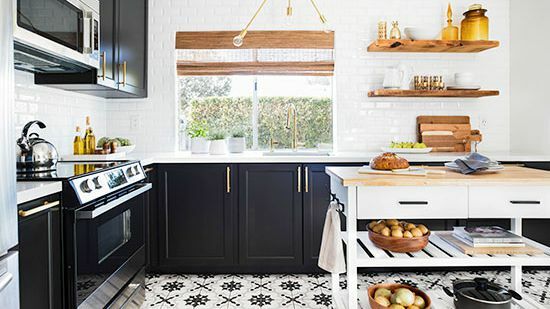 If you need to straighten a tile that is out of reach, lay down a 2-foot square of 3/4-inch plywood to distribute your weight evenly and to avoid disturbing the tile. 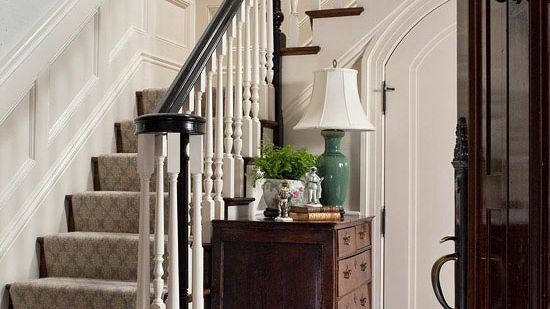 Cut at least two pieces of plywood to use, so you can position one while kneeling on the other. 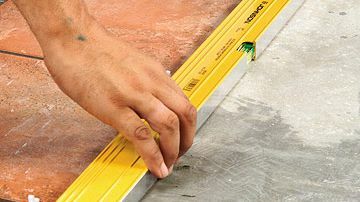 When you have finished laying one section or grid of tile, place a long metal straightedge or a 4-foot carpenter's level on the surface and check for any tiles that are higher or lower than the overall surface. Make a beater block out of a 12- to 15-inch 2x4 covered with scrap carpet. Tap high tiles in place using the beater block and hammer. 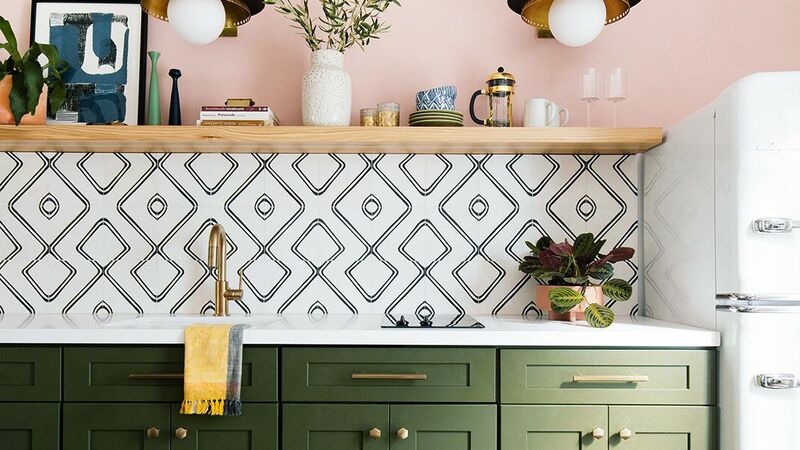 If you discover tiles that are lower than the rest, pry them up with the point of a utility knife and spread additional adhesive on the back of the tile. Set the tile back in place and level it with the beater block. Clean excess mortar from the joints while the mortar is still wet. Run the blade of a utility knife in the joint, flicking out the excess as it accumulates on the blade. Pick up loose bits of mortar with a damp sponge. Let the thinset cure at least overnight. Mosaic sheets require special care when you are setting them. Their numerous edges can tip within the sheet or rise higher than the adjoining sheet. To keep them flat, use a grout float to gently tap them level both within the field of the sheet and at the edges. Use this same technique when aligning them to the contour of a drain recess on a shower floor. 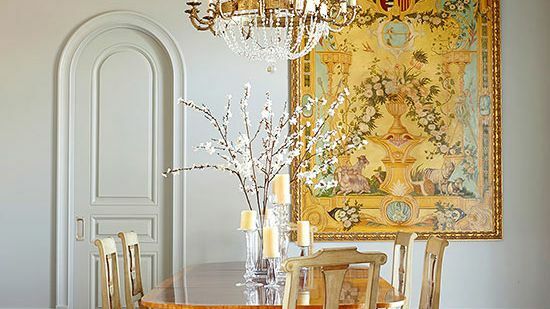 When setting marble or translucent stone, use white thinset; colored mortar may show through. 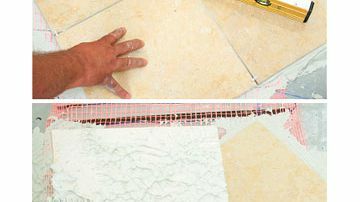 Marble, granite, and travertine tiles look best with thin 1/16-inch grout joints. 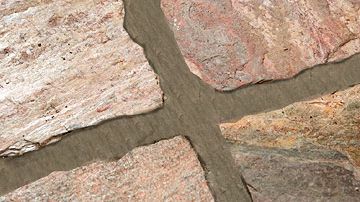 Stone tiles are more brittle than ceramic tile and therefore more prone to cracking. Make sure the setting bed is stable and flat. Damp-sponge any dust off the back of the tiles, if necessary. Apply the mortar recommended by the distributor or manufacturer of the stone. 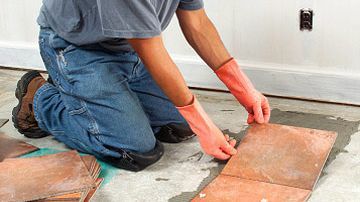 Check each tile for level with a straightedge, pulling up and back-buttering tiles that are low. Make sure the edges of one tile are not higher than another. 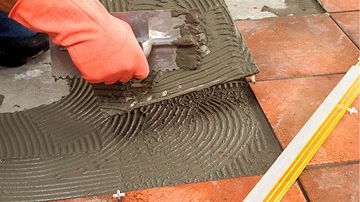 The size of the notches in the trowel you use will depend on the thickness of the tile. 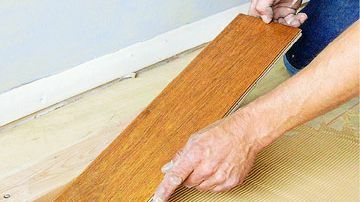 The depth of the notch, and therefore the ridge it forms in the adhesive, should be about two-thirds the tile thickness. Use 1/16- to 1/8-inch V-notched trowels for thin tiles, such as glazed wall tiles. 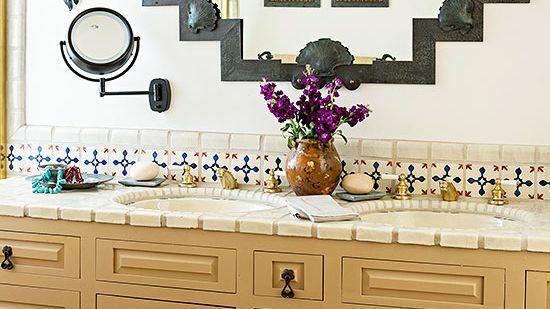 For 6- to 8-inch floor tiles, use a 1/4- to 3/8-inch square-notched trowel; for large tiles (more than 12 inches), use a deep (1/2-inch) square-notched trowel. Combing adhesive so it forms the right-size ridges requires that you hold the trowel at about a 45-degree angle and keep the edges of the trowel in constant contact with the substrate. If you have trouble making 1/4-inch ridges with a 1/4-inch trowel, switch to a 3/8-inch notch and hold the trowel at a slightly lower angle. 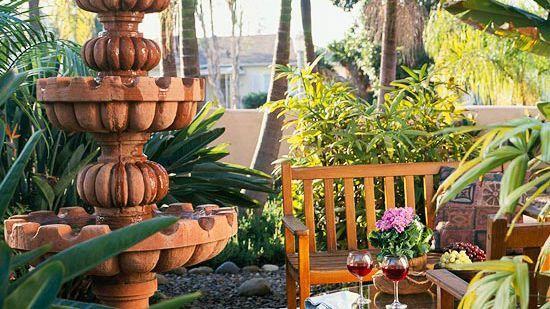 Tiles with irregular edges, such as saltillo and handmade pavers, may be difficult to keep straight, and spacers will not help. To keep such tiles aligned, make your layout grids small—a nine-tile (three-by-three) layout works well. Trowel adhesive one grid at a time and set the tiles in place. Adjust the tiles until the appearance of the joints is consistent, and expect to make a few compromises.